Hello! Don't miss out our lovely house set up on the hill with 180 degrees fabulous sea view! 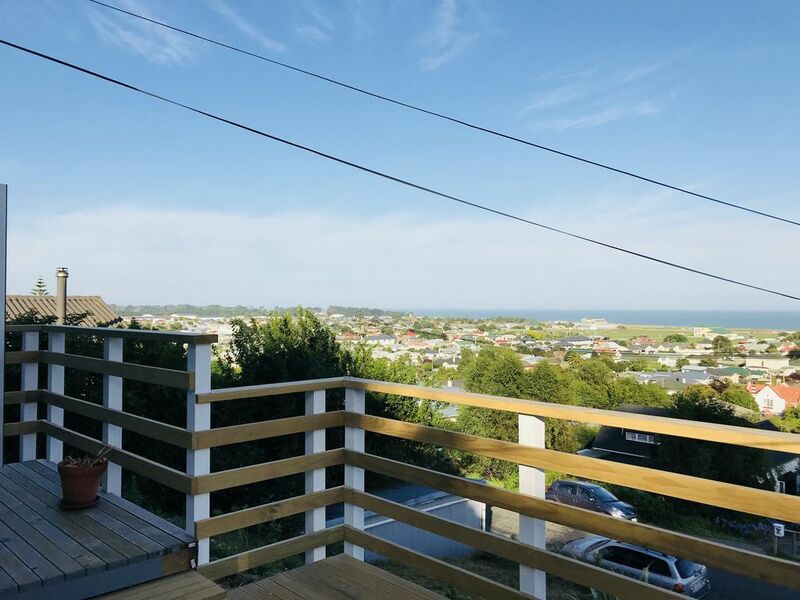 Our newly built deck provides a perfect space for you and your family and friends to enjoy the view. You can access the deck through the french window of the living room. We have three spacious bedrooms. There is a large window facing the sea in the master bedroom, so you can enjoy the same sea view as you can from the deck. We have two super king size bed in two rooms, the third room is provided with two single beds. Also we have sofa bed for the extra guests to stay with. We provide free unlimited fiber wifi for the guests. We live 2mins away from the house, so we will be there in time if needed. We can speak Mandarin, Cantonese, English and Malaysian. Joy was a wonderful host in which she put alot of effort to make us feel comfortable. We had very young children with us in which we felt they were safe warm and comfortable. Kitchen is well equipped including a pantry with essentials. We just stayed in had a few drinks while watching the view. Played monopoly and jenga and didnt have to turn the tv or music on once, something we havent done together in years it was wonderful. Highly recommended. One thing is that there wasnt a recyling bin which just made me feel untidy as i dont like to leave a batch without it being tidy but other than than i couldnt fault joys home. Thank you again for letting us stay.